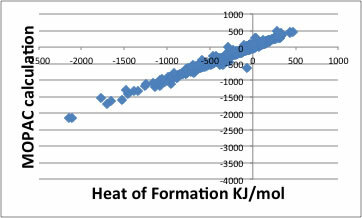 With Joback method, we can estimate heat of formation at 298.15K. I never validated this method. Instead of it, I made group contribution scheme to predict heat of formation for halogenated compounds and validated the accuracy. 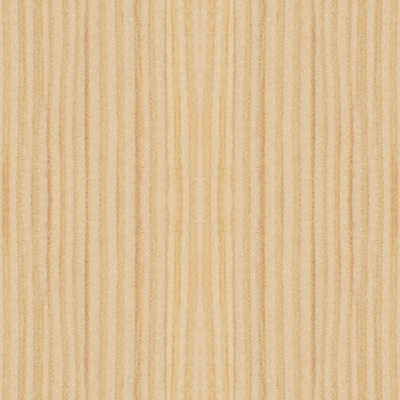 I believe the Joback method also have same accuracy. 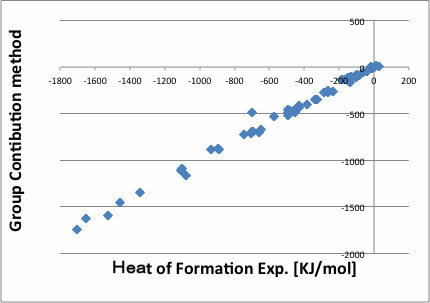 This experimental heat of formation data are obtained from burned compounds. But poly chlorine compounds are hard to get combustion heat, so it is very hard to determine the factors. 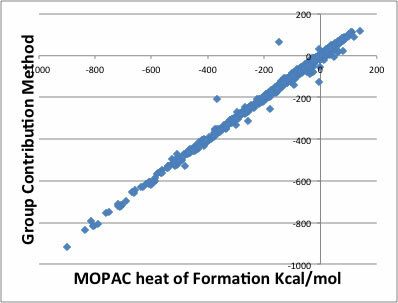 I calculated MOPAC for 2604 compounds and get heat of formation energy and validated with experimental values. And then I build QSPR scheme to estimate heat of formation based MOPAC results and implemented into YMB-simulator. Small ring compounds have large errors, but ordinal liquids compounds have good accuracy.This property is very useful to predict flash point of molecules.